Saint-Gobain, is the worldwide leader in sustainable habitat solutions and designs, they manufacture and distribute building materials and high performance materials as well as provide innovative solutions to the challenges of growth, energy efficiency and environmental protection. 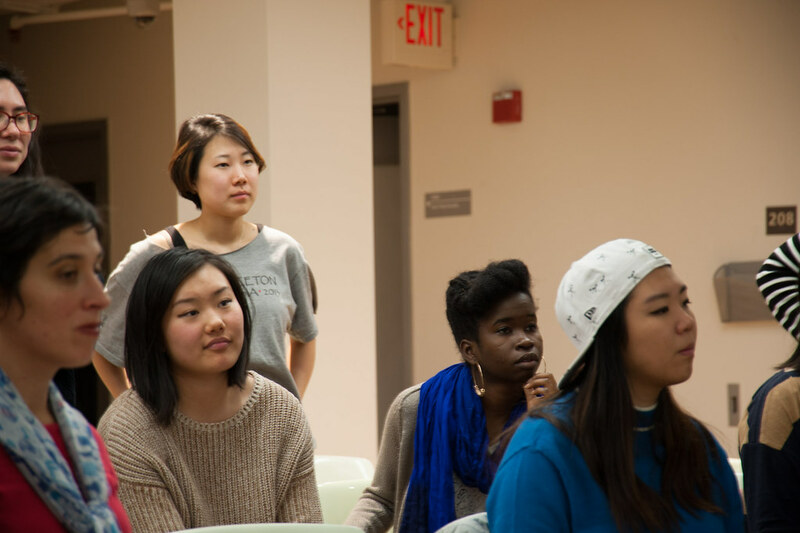 They also were large contributors and co-sponsors to the RISD-Brown Tech-Style Haus. This fall, 2015, Risd Research and the Architecture Department and Saint Gobain will introduce a research studio intended to explore day-lighting applications for buildings as a critical component of energy-efficient design. Kikkerland Design is a toy and gadget company, that continues to offer the world’s largest collection of items combining form, function, and delight in equal parts. This fall, ID Professor Matt Bird, will be running a 3 credit studio focusing on table-top design. 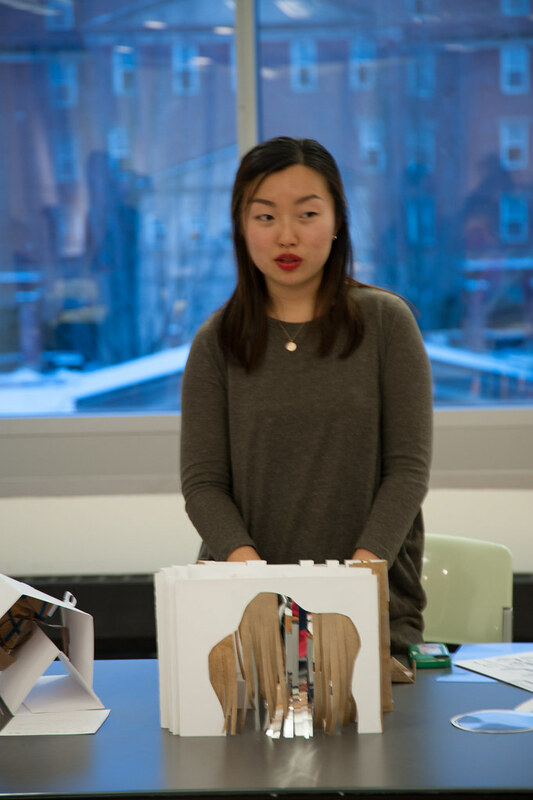 Framed as a Design Challenge, the studio will leverage Kikkerland staff and representatives from the Container Store to help students understand how marketing and manufacturing effect design (from the brief to the final product). 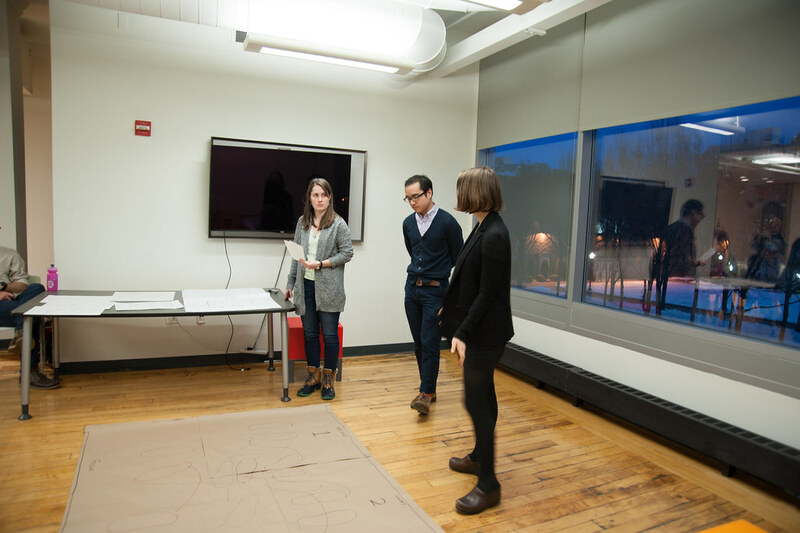 The GE Future Systems Studio engaged students in the Architecture Department in the investigation and generation of sustainable strategies for the development of the site of the General Electric (GE) Base Works complex in the Olneyville neighborhood of Providence. In addition to working with GE, students identified the primary stakeholders within the Providence community and worked with them to identify the community’s needs and interests. The advantage of this project was twofold: first, the studio allowed students to work on a real-world project in the city of Providence; and second, working with GE promoted the ongoing initiatives around the topic of sustainability. The Interior Architecture Department in conjunction with the RISD Museum ran a studio this past spring, led by Interior Architecture Professor Michael Beaman, to redesign RISD Works– the RISD museum store that highlights and sells prominent work of alumni. 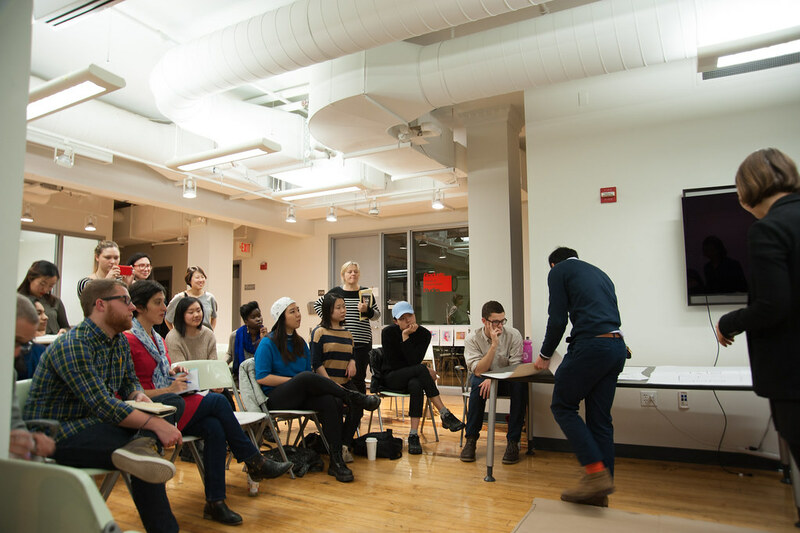 The semester began with a number of exercises that focused on digital design and manufacturing techniques to better leverage the resources of the Co-Works lab. 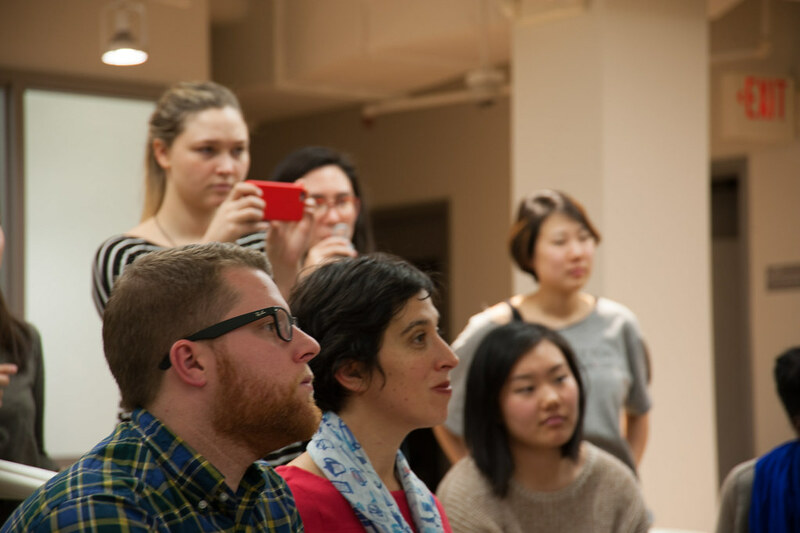 With those techniques, and surveys they had conducted with students, faculty and alumni, they were grouped in four teams to generate proposals for a new RISD museum store. The museum has responded to certain qualities in each project and will utilize their proposals and research in the process of implementing the new space. This research group gathered faculty, graduate, and undergraduate students, whose interests, studio work, practice, research, or teaching related, in some way, to SKIN’s aesthetic, expressive, technical, or metaphorical qualities. The group met outside the framework of credit-bearing courses and studios to provide participants a complimentary format for collaborative research and experimental inquiry. The topic of SKIN is of significant interest to Nike, for whom the performative design of garments is integral to a commitment to improved athletic experiences. The participating disciplines at RISD share an interest in the broad conceptual, technical, and metaphorical, richness of the topic. In sustaining life and mediating experience under both delicate and extreme conditions, skin endures as a critical subject of inquiry across creative disciplines. As both an expressive and functional material, skin offers a unique medium through which to speculate on the evolving relationship between nature, technology, and culture. From glazes in ceramics, layers in glass, and diaphanous membranes in sculpture, to structural enclosures and dynamic sensory surfaces in architecture and design, this fragile yet highly resilient membrane is an infinitely rich source for new work. 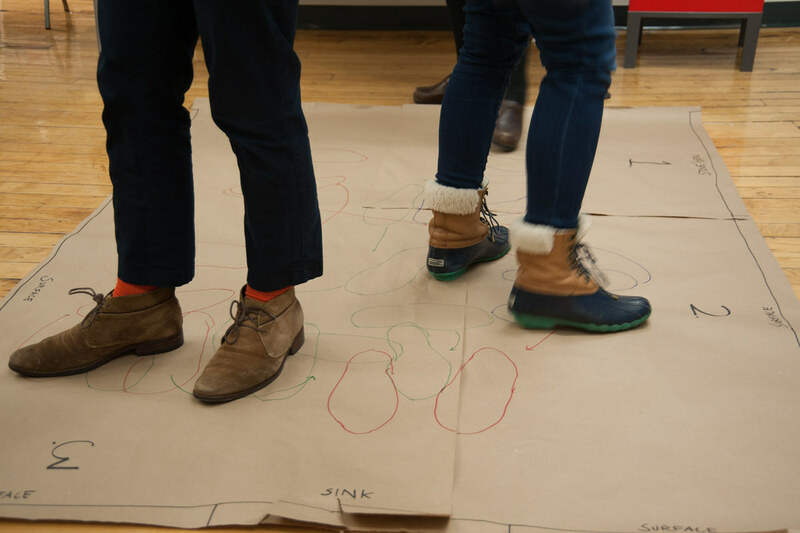 For the RISD and Nike Design communities, THE FUTURE OF SKIN is an experimental pedagogical format designed to explore and challenge our disciplinary perspectives and methodologies. As technology flows into the many facets of our world, the line between real and augmented becomes increasingly elusive. As a part of a two-part research project with Denmark based LEGO Education, RISD faculty and students will explore the fascinating and rapidly evolving intersection between digital and analog experience. 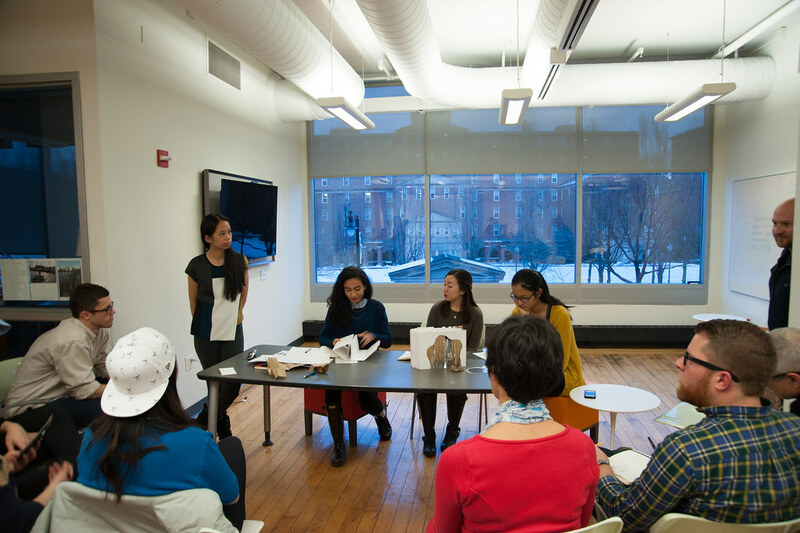 In the winter-session research seminar, researchers used humanities and studio methodologies to investigate, map, and analyze cultural practices and objects in which the digital and analog commingle. 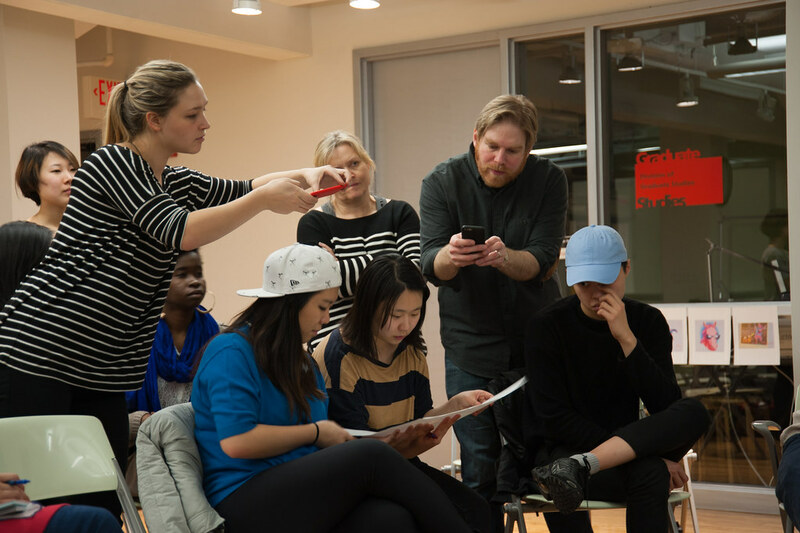 In the spring studio, students built off the winter-session group’s findings, while exploring the constructivist-learning approach that embraces constructing knowledge through experience, practice and reflection. Some of the questions that dominated their discussions, included: Why would digital and analog work together in a constructivist environment? How can we as artists, designers and life-long-learners use technology and hands-on making to shape the future of early education? What is the role of play in learning? This spring, students further developed the research findings from Phase 1 through experimental form- finding and prototype testing based research. That research culminated with speculative, experimental proposals presented to LEGO Education representatives at the final critique. 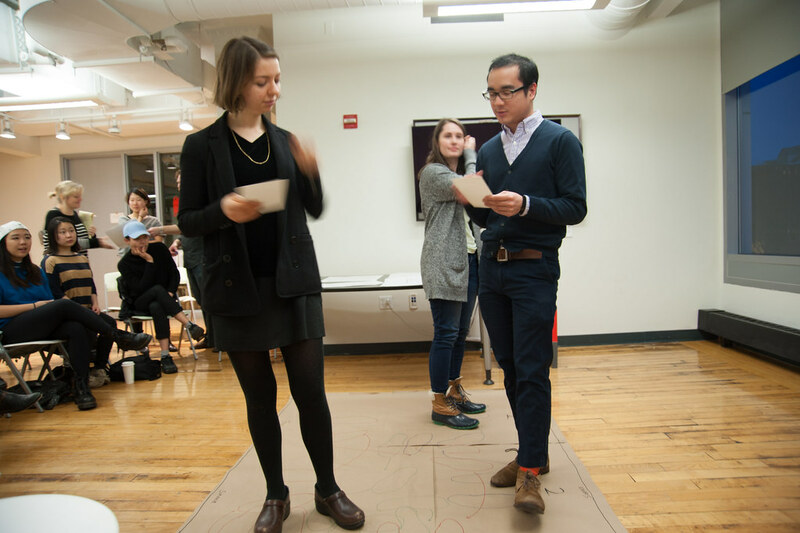 In a two-day design charrette, students across disciplines, undergrad and grad explored the future of content. 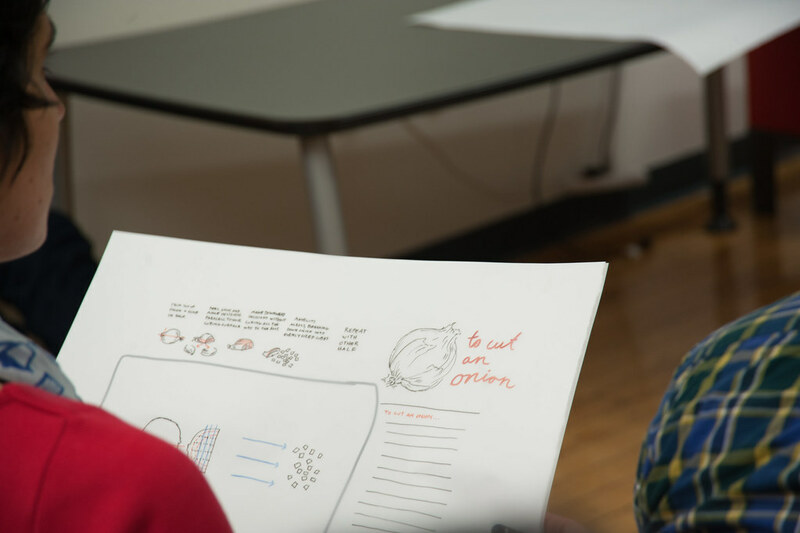 The goal of the a 2 day design sprint aimed to afford students a laboratory to explore ideas of what “publishing” could be in a world where product categories and formats (print and digital) are constantly evolving and even blurring. In response to a nationwide call to action from the US Agency for International Development (USAID), the Centers for Disease Control and the White House, RISD and Brown students and faculty joined forces with Boston’s MASS Design Group, to participate in a full-day workshop aimed at using design in the fight against Ebola. 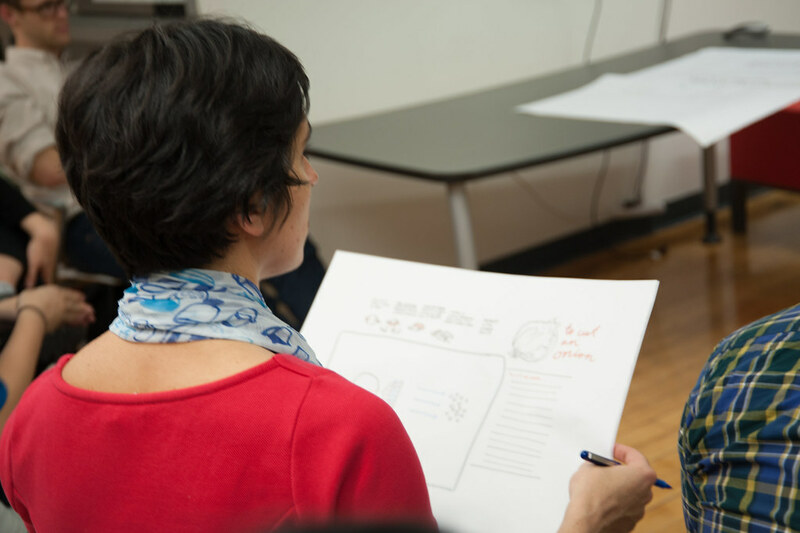 Objective: The goal was– “ to brainstorm “actionable” solutions to the problems healthcare workers face in Liberia, Sierra Leone and Guinea (where the outbreak is centered) and then share them with global leaders via the OPEN Ideo platform. Faculty Lead: Nathan King, Assistant Professor in Architecture; Assistant Professor in Foundation Studies. Faculty Participants: Dr. Elizabeth Dean Hermann, Professor of Landscape Architecture and teaches courses in Urban Design/Landscape Urbanism, Design and International Development, and Islamic Architectural and Urban History; founder of DESINE-Lab | Dr. Lindsay French, Associate Professor of Anthropology; Concentration Coordinator for RISD’s Department of History, Philosophy + the Social Sciences | Dennis Hlynsky, Professor and Department Head of Film, Animation, Video | Andrew Frieband, Assistant Professor of Film, Animation, Video. In 1903, it took only 12 seconds for actual mechanical flight to be achieved, meeting a challenge that began over 2300 years ago when flight was first deemed possible and sparking a deeper conversation about distance, resistance, perception and gravity that remains relevant today. The Shape of Flight project investigated the past, present, and future of flight, but predominantly focused on understanding the ever evolving human experience with air travel. They examined and visualized altered sensations and perceptions of time and space though modern air travel. Using actual flight simulators as research tools, students explored the varied spatial and temporal experiences that exist with flying. In partnership with engineers, aeronautical designers, and pilots, students gained deeper understanding of how flight is made, designed, and achieved. This project was designed to operate as a preliminary research foundation for the hands-on interdisciplinary seminar/studio held in the spring. The spring studio Space of Flight aimed formalize the findings of the previous research seminar into actual built constructs. The Space of Flight studio developed the conceptual themes from the previous seminar into a final installation. With more experiences such as time in flight simulators, flights to very high altitudes to experience the change in UV light, skydiving and others, the students drew upon the visceral flight shaped experiences when developing the direction of the installation. Communicating with aeronautic professionals such as engineers, pilots, and designers was invaluable and offered a lot of insight into the mechanics of flight; as well, the observations by artists with focuses in this field, served useful to cultivating a diversified celebration of flight. In order to capture the range of interpretations, the subtleties and the conceptual nuances of flight, the pavilion design draws upon the combined expertise of this cross-disciplinary collaboration and, as such, will act as a traveling didactic art and design laboratory that houses an evolving range of flight related content and aviation related events. Envision the future home. Imagine a home in which you would like to live. Where is this house or apartment located? Is it in a city or a town or the country? How big or small? In what part of the world? Who lives there? In a six-week project sponsored by Fabricut Incorporated, one of the largest distributors of decorative and wholesale fabrics; Traditional Home Magazine; and S.Harris, Vervain, and Stroheim, students designed collections of residential fabrics inspired by a vision for the future home. Prompted to root their concepts in a particular place to build context and answer questions to help direct their thinking; Who inhabits this space? What are the typical housing typologies? Was it part of an architectural movement? What is traditional? What is culturally valued? How do you want to feel? Is mobile or modular? What historical forces gave rise to the creation of the home? How does the home embody and express certain aspects of lifestyle and ways of living? What is the atmosphere of the home? The materiality? Students made reference boards and comprehensive investigations through drawing, painting, collage, photography and extensive research, offering insights into the philosophical questions they challenged of the future home. The final collection of fabrics encompassed work produced in four simultaneous classes: Design for Print, CAD, Jacquard for Pattern, and Dobby while their previous studios provided tools from which the students could draw upon when carrying out the project. A coherent design from each collection was woven on the Jacquard loom for the final critique judged by a panel from Traditional Home and Fabricut. Traditional Home and RISDMedia covered the project in detail and Traditional Home ran a multi-page story on the project in late 2013. A website and internal RISD publication was also produced to highlight the winning designs to be adapted by Fabricut for production at various manufacturing sites around the world. The finished designs were added to Fabricut / Stroheim / Vervain textile collections that were released in mid-2014. Dean of Fine Arts and Textiles Professor. The studio response led to design propositions at a range of scales of experience, with some projects using elements for overall impact and others providing intimate tactile and visual detail. Early research instigated rigorous material investigation to develop and test new applications beyond those that other designers had already explored. 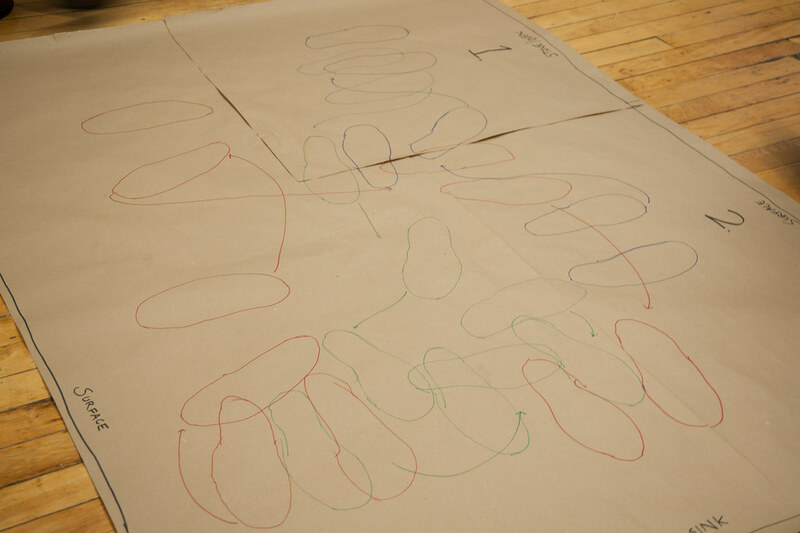 After many hands-on experiments and many drawings, models, and prototypes, work was created, critiqued, and reworked. Throughout the process representatives of Swarovski were extremely supportive with technical information and valuable feedback. The results of the collaboration were featured in the International Contemporary Furniture Fair in New York; The Designer Days Exhibition in Paris, France; and The Habitat Fair in Valencia, Spain.